Refreshing lemon with aromatic juniper, a Divine take on a classic Gin & Tonic. Made with Fairtrade cocoa grown by family farmers in Ghana. 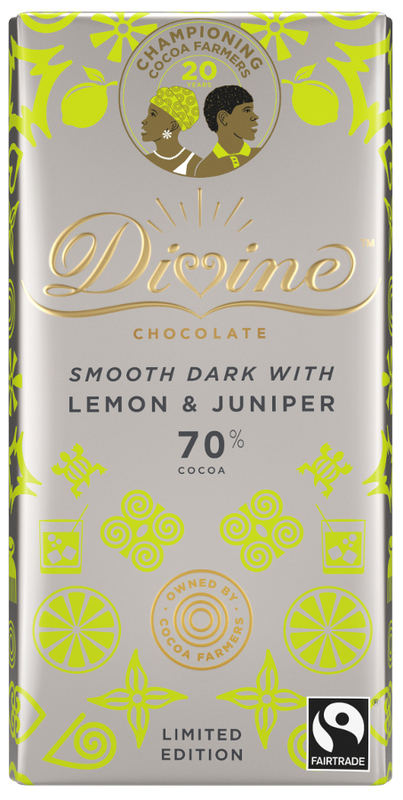 At Divine, the cocoa farmers who grow the finest quality cocoa for the chocolate also own 44% of the company and share in the profits. Free from soya, palm oil, GMO ingredients, artificial flavours, artificial colours and artificial preservatives. Fairtrade cocoa mass, Fairtrade sugar, Fairtrade cocoa butter, emulsifier: sunflower lecithin, Fairtrade vanilla, Lemon oil, Juniper. May also contain milk, nuts and gluten. Store in a cool, dry place. 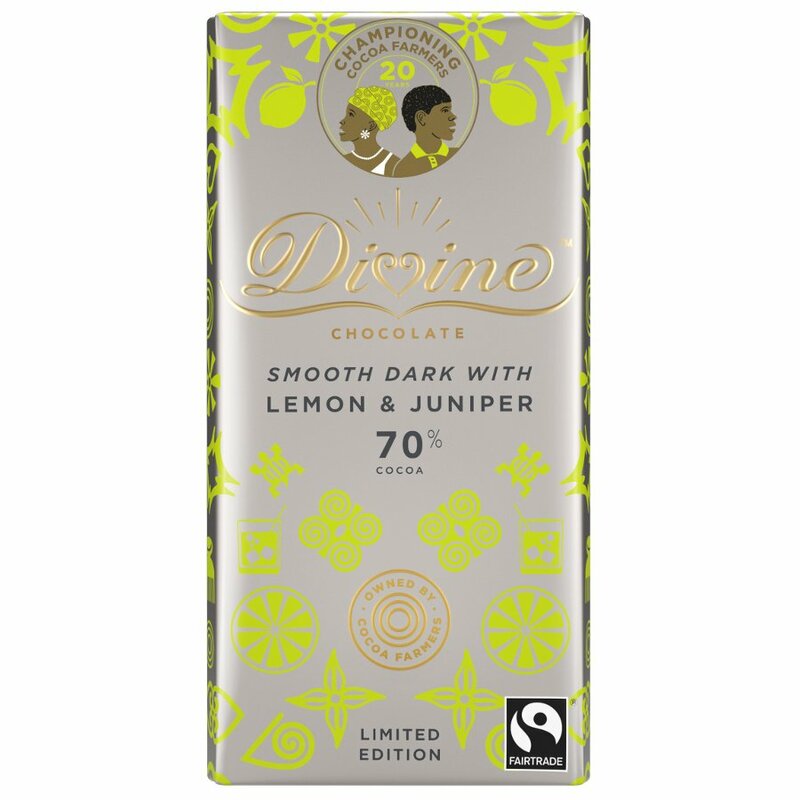 There are currently no questions to display about Divine 70% Dark Chocolate with Lemon & Juniper - 90g.